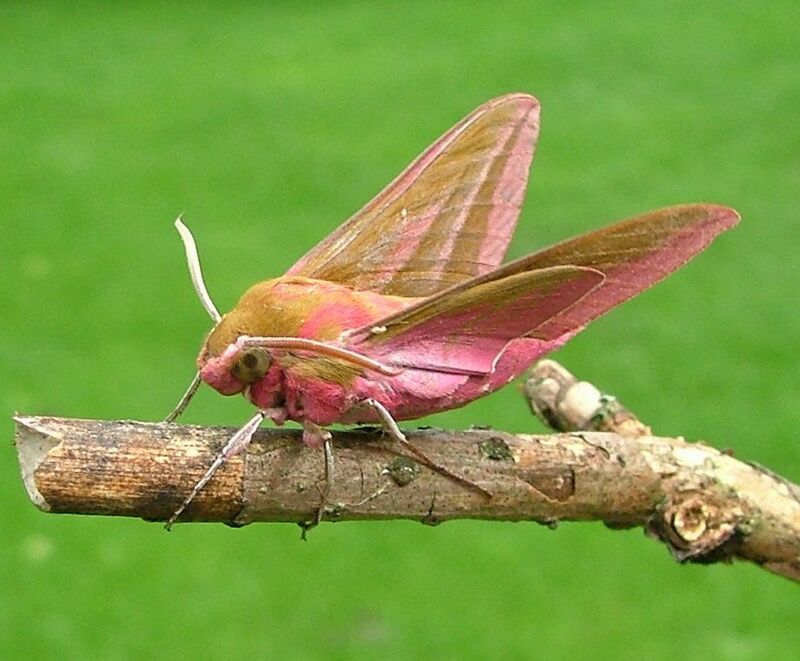 Deilephila elpenor, known as the Elephant Hawk-moth, is a large moth of the Sphingidae family. 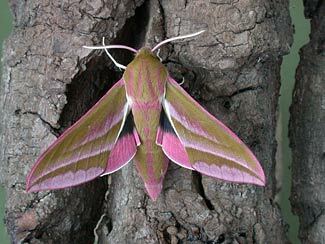 The species is found throughout Britain and Ireland. Its range extends across Europe, Russia, and into China, northern parts of the Indian subcontinent, Japan and Korea (though not Taiwan). Introduced specimens have been found in British Columbia. 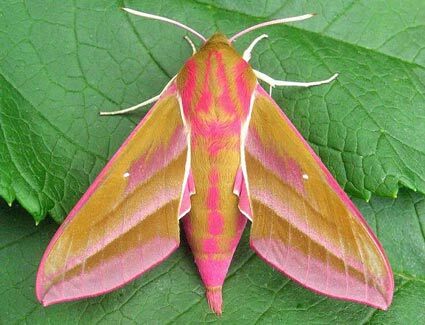 In most of their range, the adults are seen from May to July and the caterpillars from July to September, when they pupate. However in some parts of the Mediterranean and China the adults may be seen from April on, sometimes having two broods in a year.The larva is about 75 millimetres (3.0 in) long, green and brown in colour. Like most hawk moth caterpillars, they have a backward curving spine or "horn" on the final abdominal segment.